This is an engraved Perpetual Wooden Spoon Award, and is 45.5cm tall. It can be used year after year to award the bottom placed team! 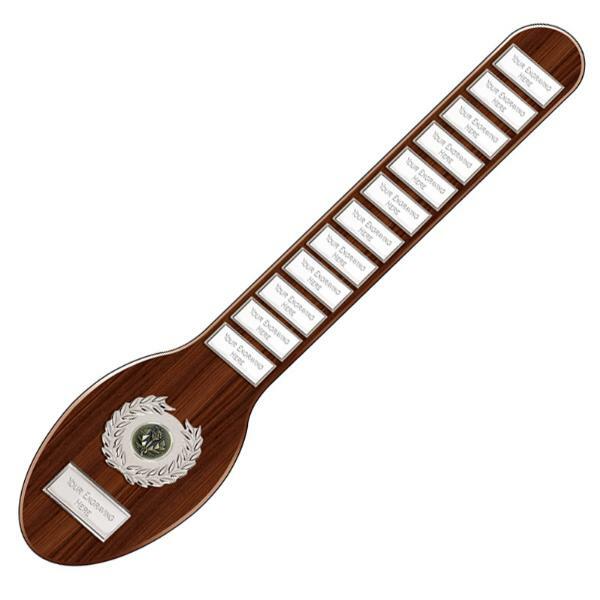 The price for the perpetual wooden spoon award includes up to 50 characters engraved free, with additional letters charged at 15p a letter. A centre can be added to make the wooden spoon more appropriate for your sport, please add this to the special instructions when ordering. The postage rate for the engraved perpetual wooden spoon award is band B.